Jackie Hoyt started her career in technology industry. But after 25 years as an IT executive, she decided to follow her real estate dreams. She started her new career in 2004 and has not looked back since. Her business executive skills, multimillion dollar budget management and contract negotiations were some of the skills she has transferred to her new adventure. Those skills and experiences have allowed her to peruse the market and uncover the best direction for her clients. She realized guiding people with a major purchase is a huge responsibility. Her motto is to treat people’s money as it was your own and treat each client as your own family. Hoyt Real Estate is a full service real estate firm with focus on customer service and putting clients first. We treat your business with the highest ethical and professional standards. Purchasing a home whether for the first time or not, is a daunting task and it can be made easier with the sound advice of an experienced broker, like Jackie. 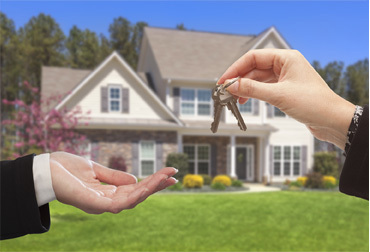 Our goal is to make your real estate transaction a stress-free experience while negotiating the best deal possible. Our ability to deliver above and beyond has allowed us to build and maintain solid client base. We base our business on repeat clients and referrals; therefore your satisfaction is our highest priority. We at Hoyt Real Estate are focused on our knowledge of real estate market. Unlike other real estate firms we promises that you will not be farmed out to a junior agent and will always have access to Jackie Hoyt, founder broker. This was our fourth time buying/selling a home, and we have strong ideas by now what makes a good, fair, bad, or excellent agent. Jackie is excellent in all areas – and such a delightful person to spend time working with. Her strong people skills are great in negotiations as well, and her knowledge of the area and advice was all top notch. Jackie is the best! She sold us our home back in 2007, and she was the only reason we got the house! Then she sold the house in 2014 in a week! I would highly suggest using her if you want the best realtor in sacramento! Jackie helped us sell our home. She was diligent and had an amazing network of services to help us prepare the home for showing and sell it at the best price. I would recommend her to anyone wanting to sell a home! By far the best realtor I have ever had. Moving out of state I was sad I couldn’t use her again! You can put your complete trust into Jackie, and know she is fighting for you! Jackie goes above and beyond what a traditional real estate agent does. She represented me in two real estate transactions and I really don’t think a typical real estate agent could have made either one happen. Neither one was straightforward. I have bought and sold many properties and Jackie by far was my best real estate agent. I wish I still lived by her so I could buy another property with her!! Jackie is a joy to work with! My partner had purchased a home years earlier, and had a good experience then, too. So she was our first pick in 2016. She did her homework on what we wanted and combined it with her knowledge of the Sacramento area. She was also good at telling us areas we should not buy in, and why. We wouldn’t hesitate to enlist Jackie’s assistance in purchasing our next home. Jackie has my business for a buy or sell. I trust her 100% and know she will always go above and beyond to get me the best deal!!! She is full of integrity and awesomeness!!! Without question, Jackie Hoyt is the best real estate agent we have ever had the opportunity to work with! Because of her knowledge and understanding of the real estate market, she was able to sell our home literally within hours of it being put on the market. This was only possible because of the time she took in helping us properly stage our home (along with professional pictures/portfolio, and an online virtual tour made available to prospective buyers). Jackie was also instrumental in helping us find a lot upon which we were able build our dream home. We are blessed now to consider Jackie and her husband one of our dearest and best friends. We would encourage anyone serious in selling or buying a home to contact Jackie. She can help turn what can be a stressful endeavor into a joyful and satisfying occasion. There are SO many realtors out there to work with and I know first hand how difficult it is to find a good one, one you can actually trust. Jackie Hoyt was actually the sellers agent on a home we were purchasing. I was so impressed with Jackie I hired her for other home purchases a couple months later. Jackie drove us to look for homes all over the map….. until we found what we were looking for. I will definitely call Jackie again when we are in the market for a new home/property! We met Jackie Hoyt in 2003 and she is the most talented, expert real estate broker my family has ever used. We are retired home builders and had our own company for 33 years in So California and Pinehurst, NC. During this period we became well educated on which traits the most competent agents mastered. Three of Jackie’s exemplary traits are that she ALWAYS put her clients’ best interest before her own; she thoroughly understands the housing market; and her finesse in researching and interviewing outside agents to assist her clients if necessary. For instance, twice we had a specific need in locating an out-of-area and out-of-state agent. Jackie was able to locate the most proficient agent in Paradise, California to sell our two vacant lots with instant results. We had these lots on and off the market for NINE YEARS and no other agent we listed them with was able to get them sold. Jackie’s referred agent sold our lots within two weeks after listing! Her choice of agent eliminated further hassle for us trying to get these lots sold. Also, Jackie did telephone interviews with realtors in Omaha, NE to assist our son in buying his first home. The Omaha agent Jackie chose exhibited all the same outstanding traits that Jackie has mastered which brought our son’s stress level down and got him into the first new home of his dreams! We have and will continue to refer Jackie to all our family and friends. We have used her on numerous occasions! She has sold for us, bought for us and I have used her to find my current rentals. She will “make things happen”. She encouraged us to look at a property when we wanted to move into Granite Bay. It was out of our ideal boundaries that we were looking in. Needless to say, it was perfect! She nailed it! We still are here! Worth at least chatting with her! I have over my lifetime bought and sold multiple properties.I have completed multiple real estate transactions with Ms. Hoyt. Her integrity, knowledge, and simple good sense about selecting, buying, and marketing real estate is outstanding. She is very personable which leads to a most comfortable business relationship. I recommend her without hesitation. Call her. We have sold, and bought a couple of homes through Jackie. She is upfront and honest, knowledgeable and personable. We would definitely recommend her as an agent. JACKIE HOYT is a professional that brings a great sense of humor to the stressors of selling buying and selling your home. She is knowledgeable and knows the nature of people well. I never understood someone saying they had a real estate agent that they always used until I met Jackie. I now have my own real estate agent with Jackie Hoyt and will definitely use her again. I highly recommend her as both as a professional & now a friend. Jackie is awesome! She is responsive and worked incredibly hard helping me sell my home. She understood all the processes and hoops to jump through to make it happen! Jackie is the best! She sold us our home back in 2007, and she was the only reason we got the house! Then she sold the house in 2014 in a week! I would highly suggest using her if you want the best realtor/broker in sacramento! Jackie Hoyt is the most efficient RE professional I have ever worked with. She made sure everything fell into place in a timely manner. She was always one step ahead. This is my second home she has sold for me. I would not use anyone else! If you want the best price sold in timely efficient sale – she really is the best! I recommend her to everyone. Copyright 2016 Jackie Hoyt | All rights reserved.